A primary source of revenue for government is income tax. The Income Tax Act (ITA) (and other legislation) imposes obligations on employers for source deduction withholdings for income tax, CPP contributions, and EI premiums ("statutory deductions"). These deductions must be remitted to the government within the deadlines set by the ITA. Employers have a corresponding obligation to maintain a payroll and file information with the government (i.e., T4 slips and a T4 Summary). In addition to knowing what constitutes employment income, a charity with paid employees will need to be familiar with the employer benefits that are taxable, the Pensionable Insurable Earnings Review (PIER) reports, and the Clergy Residence Deduction. Employee Benefits and Allowances: What’s Taxable? 2: What are the current Canada Pension Plan (CPP) contribution rates and Employment Insurance (EI) premium rates? 8: What are the tax implications for group insurance premiums? 9: What is CRA’s administrative policy for reimbursement of mileage? 10: What moving expenses may an employer reimburse tax-free? 15: When is a payment an honorarium to a self-employed person and not employment income? 24: What tax, pension and other issues arise when missionaries serve outside of Canada? 30: What amounts should charities include on T4 slips and the T4 Summary? 32: May charities pay tax-exempt education allowances for children of overseas staff attending boarding schools? 38: How should we treat free accommodation and food for camp counsellors for income tax purposes? 39: Our employee passed away recently. What tax effective options are available if we wish to help the surviving spouse and family? 41: When should “love gifts” or “honoraria” be reported as income from employment? 45: May a church make a substantial tax-free parting gift to a pastor after many years of service? 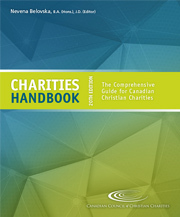 51: What are the tax and payroll rules surrounding gifts and awards to employees of our charity? 52: What are the prescribed interest rates set by the Canada Revenue Agency? 56: If I am a missionary working outside of Canada, do I have to pay employment insurance (EI) premiums?